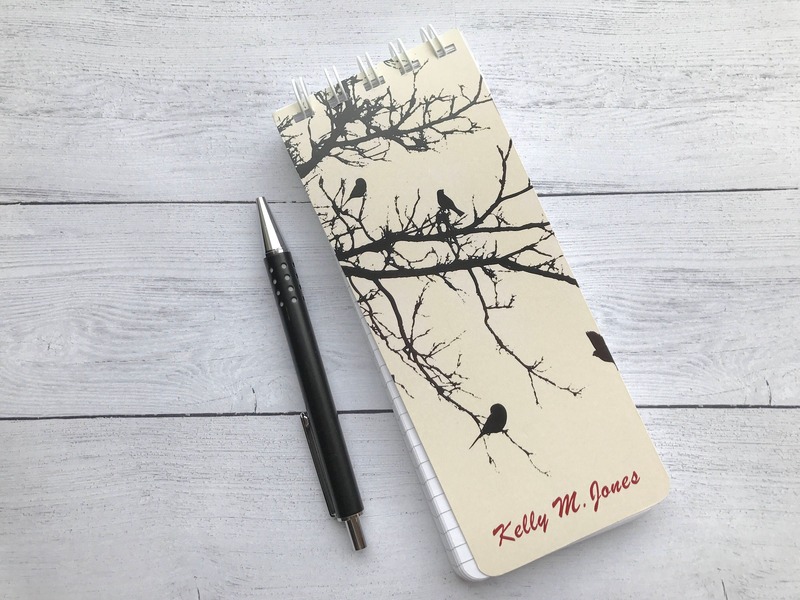 This set of spiral-bound, personalized note pads is elegant and useful and perfect for the nature lover. 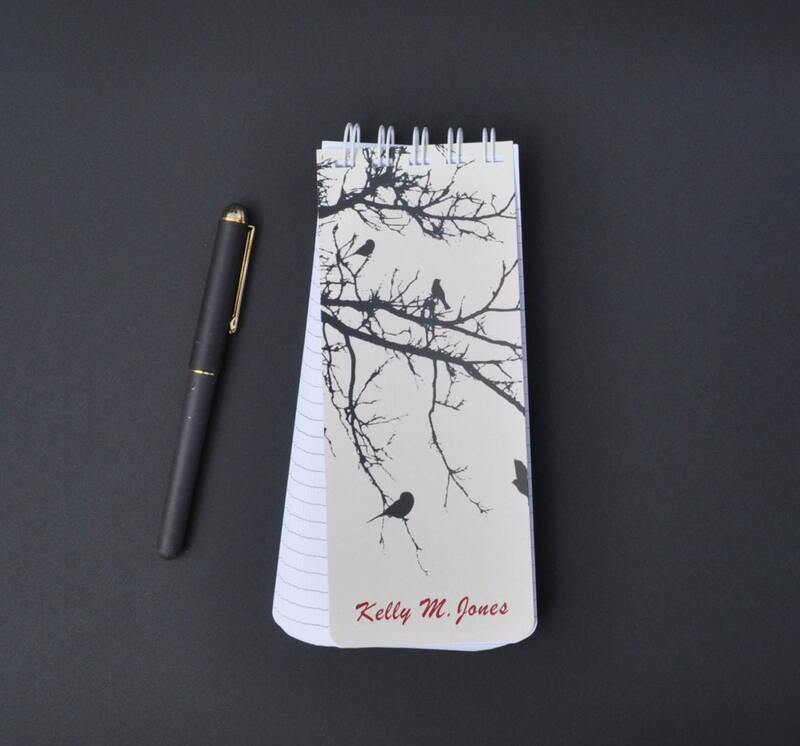 These have 80 lined sheets of acid-free, white writing paper with durable, extra heavy, front and back covers. The corners are rounded to prevent bending. The spiral, wire binding 360-degree rotation makes them easy to use. The pads are 3-inches by 7 1 ⁄ 2 inches and are approximately a half-inch thick. -This can be personalized in any way you'd like. 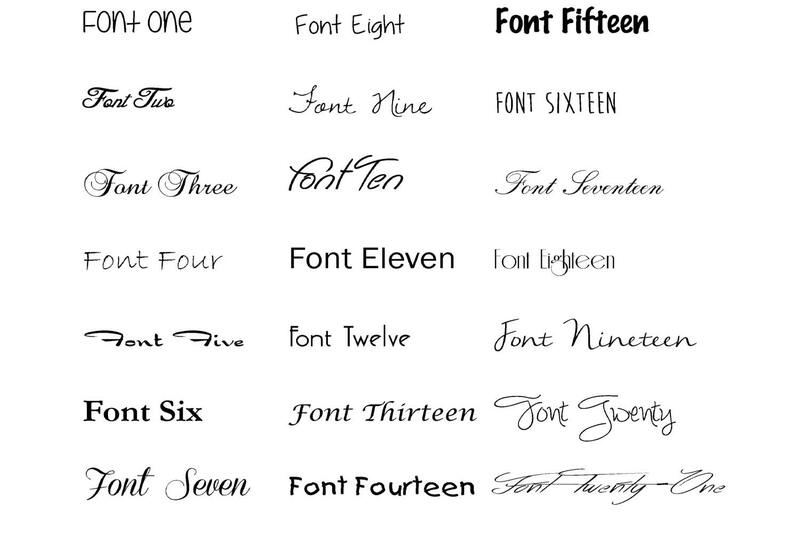 You can use a first name only, a full name, a family name or a monogram. 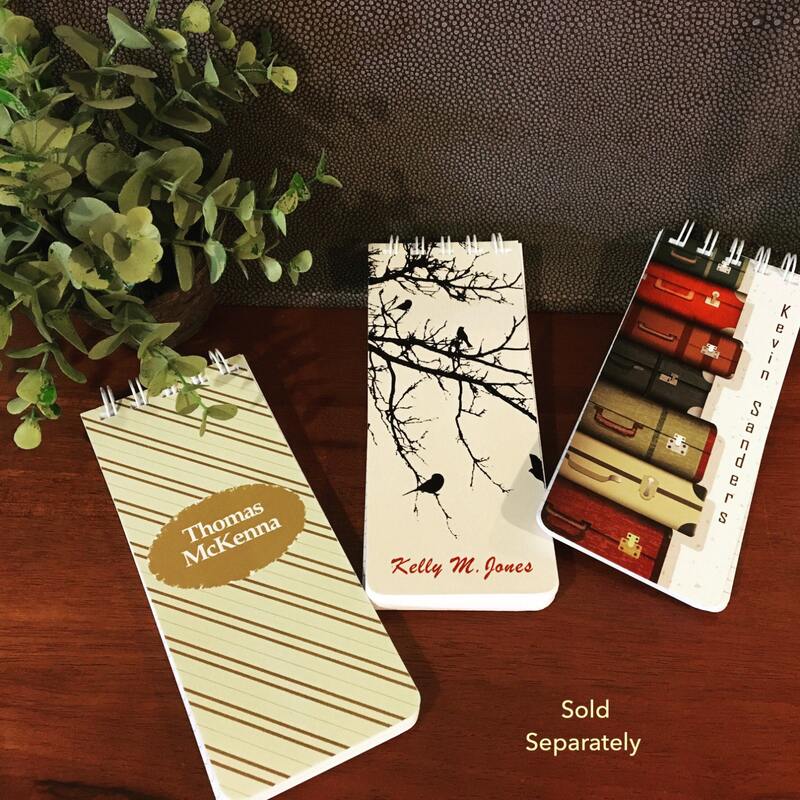 Please tell us your personalization in the "Notes to Seller." -Please make your selection in the drop-down menu on the right. 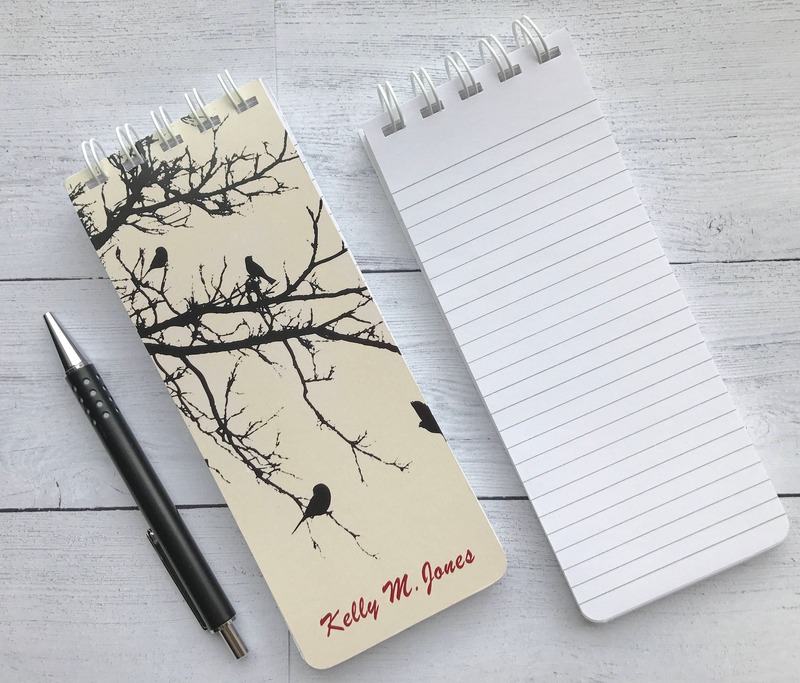 The custom notepads look great!